Remember when it was considered weird to use a Bluetooth device in public? Back then, the last thing people wanted was for others to think they were ranting to themselves on the street. Today, using voice search on a mobile phone in public can still have some of the same stigma attached to it, especially in certain settings (like the restroom—more on that later), but that stigma is disappearing rapidly. 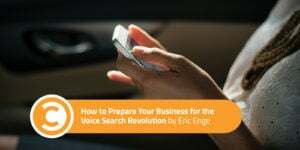 At Stone Temple Consulting, we recently surveyed more than 900 mobile phone users to find out how they use voice search, and the results give us insight into the way that digital marketing and SEO are changing. Google has been preparing for voice search for quite some time. The rise in mobile usage and voice commands, in fact, have led to some pretty significant changes in how Google’s search engine interprets queries. 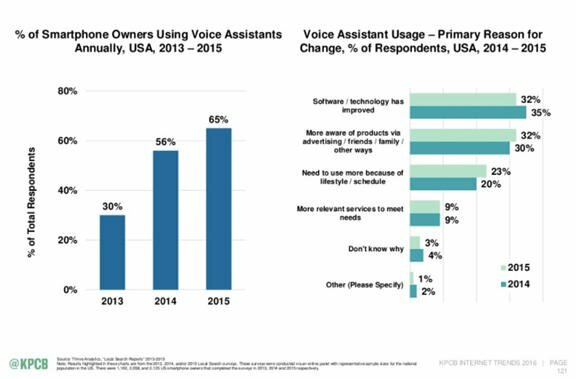 The percentage of voice search queries is expected to rise, especially as the younger generations continue to adopt voice search. The results were fascinating. For example, did you know that more than two-thirds of people feel comfortable using voice search at home alone? That number drops to 54 percent when using it at home with people they know. 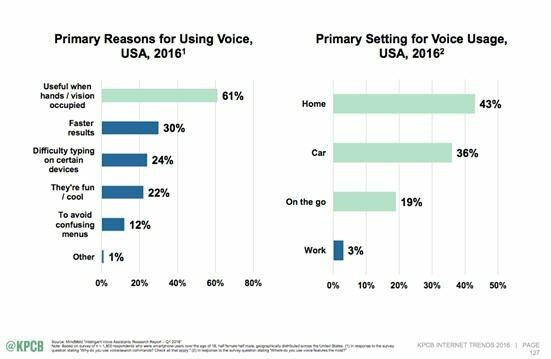 This is in line with findings of the 2016 Internet Trends Report by KPCB, where most of the voice searches were occurring in the home. Then there are the pioneers of public voice search adoption—those who felt comfortable conducting voice searches no matter who was around. More than one-fifth of those surveyed were fine using voice commands in more public situations, like amongst coworkers, in a restaurant, on public transportation, or at a party. 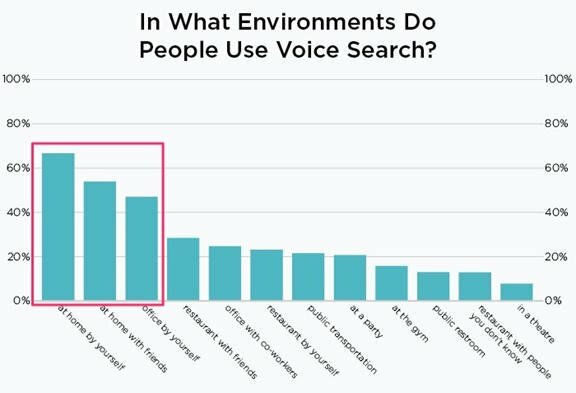 A smaller amount of people were okay using voice commands in places like the gym or in the bathroom (which, understandably, could be awkward, to be muttering commands from the toilet), where 13 percent of people seem comfortable with speaking searches to their phone. Men were much more willing than women to take risks in places like the bathroom, with men twice as likely to use the phone for a voice search in the restroom than women! Men were also three times as likely to use voice search in a theater than women. 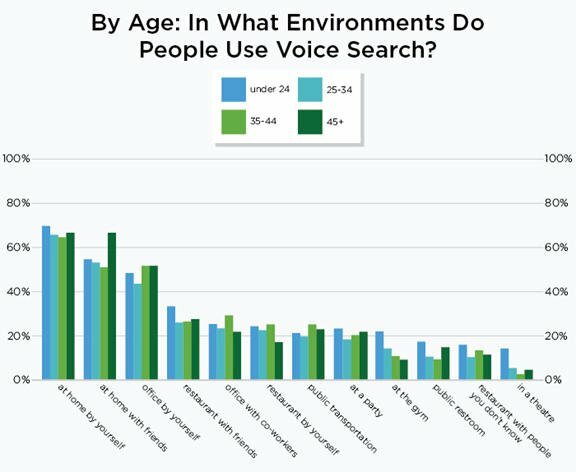 Age plays a factor in public voice search adoption, too. Our survey found that folks in the Generation Z category (under age 24) were 33 percent more likely to use voice commands in some of those more “taboo” public settings than those older than 24. Different folks prefer different technologies when performing their voice searches. If you have an iPhone and know that Siri can take care of what you need, then you’ll likely ask Siri and not bother opening up a dedicated app or browser. In fact, the Internet Trends Report showed Siri processed more than one billion voice commands per week by June 2015. 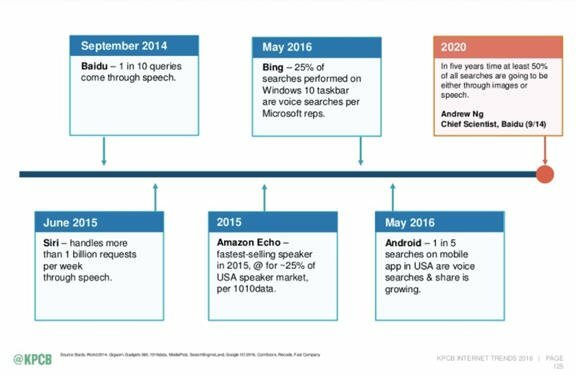 Also of interest in that data are the forecasts for continued growth of voice search. For example, Baidu chief scientist Andrew Ng believes that at least 50 percent of search queries by 2020 will be performed as a voice or image search. Search boxes and browsers will remain with us for the foreseeable future, but their importance is going to decline significantly over the next decade. 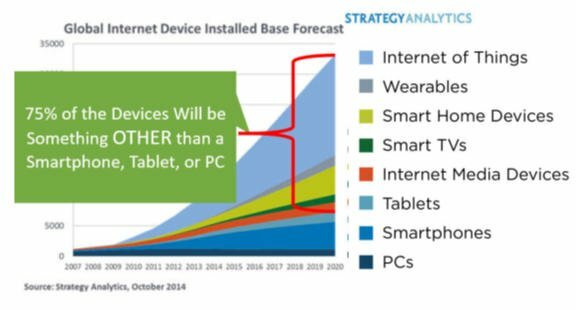 In fact, a forecast from Strategy Analytics shows that by the year 2020, less than 25 percent of internet connected devices will be a PC, tablet, or smartphone. What will those other devices be? They’ll be watches, thermostats, TVs, refrigerators, cars, game consoles, and many other types of devices. Most of these will not have a browser, and the main interface will be via voice. 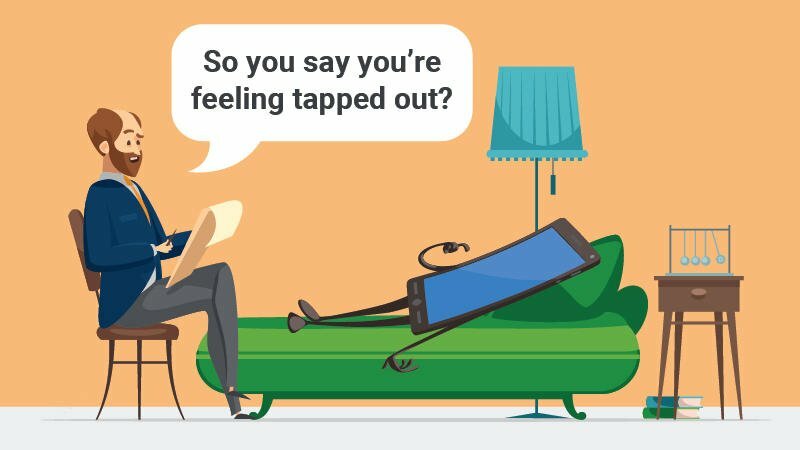 Digital personal assistants may be the main connecting tissue that binds all these things together. Those are tools like Google Assistant, Cortana, Amazon Alexa, and Siri. This then will become the new key focus of your optimization efforts. When someone tells a personal assistant, “Find an Italian restaurant near me,” you’ll need to have taken the right steps to be included in those results. Learn how to get featured snippets for your site. The great thing about this is that it both prepares you for the future, and it also will help you drive a traffic increase to your site right now. Learn the most common questions prospective customers have about products and services like yours. Get out there and learn what they want to know, and then start building content to answer those questions proactively. Being one of the best information sources in your market space will be critical to surviving and thriving. Imagine a world where I simply say what I want, starting with, “Give me a list of Nike Air running shoes for men, size 10.” In this world, I skip many steps in the process and get to what I want much faster. We won’t get to this world overnight, but we will get there, and the time to start learning is now. You can do this by experimenting with the Amazon Echo (learn how to build an Amazon Skill here) and Google Home (learn how to build an Action on Google here). The world is changing fast, and we’re approaching a point of major disruption in our industry once again. While this can be frightening, it can also be exciting. One thing is for sure: It’s a time of great opportunity. Start exploring the right ways to set yourself up for success now, and you’ll be in a much better position to do well as the events of the next year unfold. Get a weekly dose of the trends and insights you need to keep you ON top, from Jay Baer at Convince & Convert. Sign up for the Convince & Convert ON email newsletter. Eric Enge is the CEO of Stone Temple Consulting, a 70+ person digital marketing agency that serves Fortune 500 companies and other large enterprises. Eric regularly contributes to Forbes, Search Engine Land, The Digital Marketing Excellence blog, Copyblogger, Social Media Today, and other sites. He is lead co-author of The Art of SEO and is a regular speaker at many different digital marketing conferences.